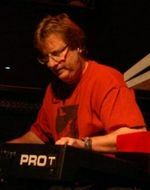 I learned the sad news today that keyboard legend T Lavitz, the accomplished solo artist, educator, and long-time member of the Dixie Dregs, passed away in his sleep on October 7th. He was only 54 years old. Being a major Dreg-head, I've been a big fan of T's for many years. One of the nicest emails I've ever received from an artist was when T wrote me in 2007 to compliment and thank me for a review I'd written for his School Of The Arts album. I then had the pleasure of meeting T at the NAMM show a couple of years later where we had a great chat. T was such a gracious guy, and one of my favorite keyboardists and composers of all time. He had a very distinctive style to both his writing and playing that I really enjoyed. Such a sad loss; he will be sorely missed. My condolences to his family and friends. All About Jazz has a nice interview up with keyboardist T Lavitz. Lavitz discusses his new album School Of The Arts, his work with guitarist Steve Morse, and much more. 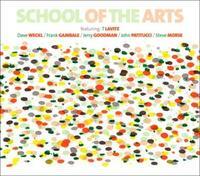 All About Jazz has posted a review by John Kelman of the new T Lavitz album School Of The Arts. Keyboardist T Lavitz (Dixie Dregs, Jazz Is Dead) has a new CD coming October 9th. 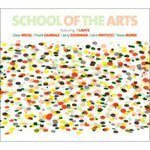 The new album, entitled School Of The Arts, features Steve Morse, Frank Gambale, Dave Weckl, Jerry Goodman, and John Patitucci. Check out Lavitz's MySpace page for song samples.